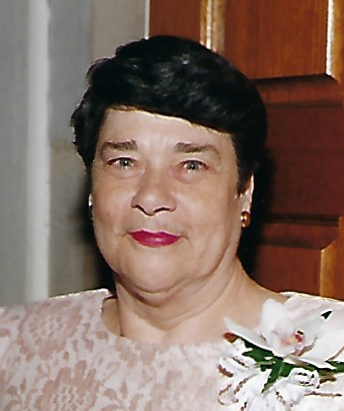 Kathryn Simmons Poole 8o, of Raleigh, died Sunday, December 2, 2018. She was born December 17, 1937 in Columbus County the daughter of the late Roy and Mozelle Simmons. She was the widow of the late Donald R. Poole. She is survived by three sons, Richard Poole and wife, Margaret Louise of Youngsville, NC, Wesley Poole and Gene Poole both of Raleigh, NC; two daughters, Jo Ann Jackson and husband, David of Greensboro, NC, Patti Cromer of High Point, NC; grandchildren, Donald Poole, Ashley Poole, Wesley Poole, J.P. Roudabush; great grandchildren, Elizabeth Poole, S.J. Poole, Charlotte Poole. She was preceded in death by her husband; parents; brother, Herman Simmons; sister, Alice Long; grandson, Christopher Poole. Her graveside service will be at 1:00 pm Friday, December 7, 2018 at Columbus Memorial Park by Rev. Charles Parker.